In every city or county, there are always one or two neighborhoods that are the showpiece for the area. Everyone would love to live there, and often show it off to their friends and family when they visit. 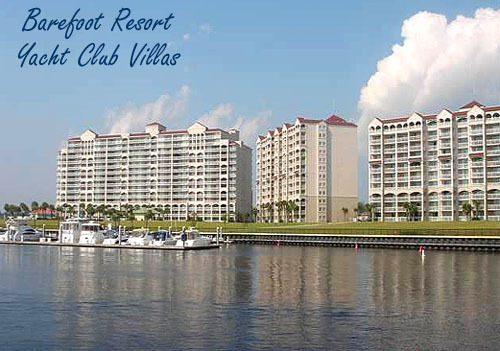 North Myrtle Beach's prize community is Barefoot Resort, and even though a home there can be quite affordable, its residents often mention the name with pride. Four famous architects, Greg Norman, Pete Dye, Tom Fazio and Davis Love III got together in 1998 and designed four Championship golf courses, making use of unincorporated land on the outskirts of North Myrtle Beach, and the Intracoastal Waterway which ran through the acreage. A few years earlier, Barefoot Landing - one of the most unique and enticing outdoor shopping complexes around - was built next to the proposed site, which added even more desirability to the project. 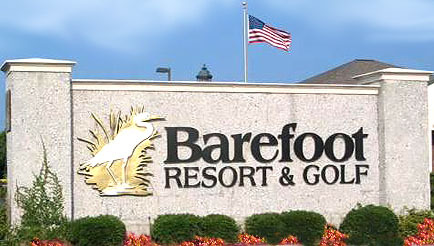 This became the 2300 acre community known as Barefoot Resort. Originally planned for two hotels, a marina, and approximately 5000 residential homes or condos, the project eventually offered two marinas - one public and one private; with 3 palatial towers of luxury condominiums and an onsite restaurant right on the Waterway. The entrance to the community is beside the shopping complex and sprawls into neighborhood after neighborhood of condos, townhomes, patio homes, luxury estates, golf course views, and waterfront homes with private docks and boat access. All this is surrounded with the beautifully landscaped golf greens and natural ponds that are found all over the community. Now a part of the city of North Myrtle Beach, Barefoot Resort is one of the best places to call home in the entire Grand Strand. Our Century 21 office is located close to the entrance of Barefoot, and we have the most knowledgeable, experienced real estate agents in North Myrtle Beach. We work directly with new builders and know every inch of this community, North Myrtle Beach, and Little River homes and condos. 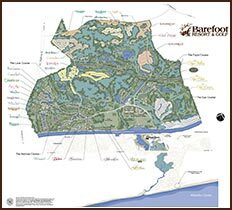 If you want to buy or sell a home in Barefoot Resort, we are your local experts. We also service all of the Grand Strand, however, so although we specialize in Barefoot and the nearby North Beach Plantation, we can handle all of your Myrtle Beach real estate needs. Call or stop by and let us show you what we can do! Visit our main website for North Myrtle Beach Real Estate! Listing courtesy of Century 21 Barefoot Realty , Suzanne Russo. Listing courtesy of Sloan Realty Group , Blake Sloan. Listing courtesy of A.S. General Contracting, Inc. , Anthony Spano. Listing courtesy of Century 21 Barefoot Realty , Angie Tavik. Listing courtesy of Perkins-Nichols & Associates , Sarah Perkins-Nichols. Listing courtesy of CRG Real Estate , Laura Corbett. Listing courtesy of Perkins-Nichols & Associates , Sheri Milholen. Listing courtesy of Leonard Call - Kingston , Janet Cox.